I also quick pickled okra, beans, tomatoes, and peppers. I am going to put up that recipe soon. 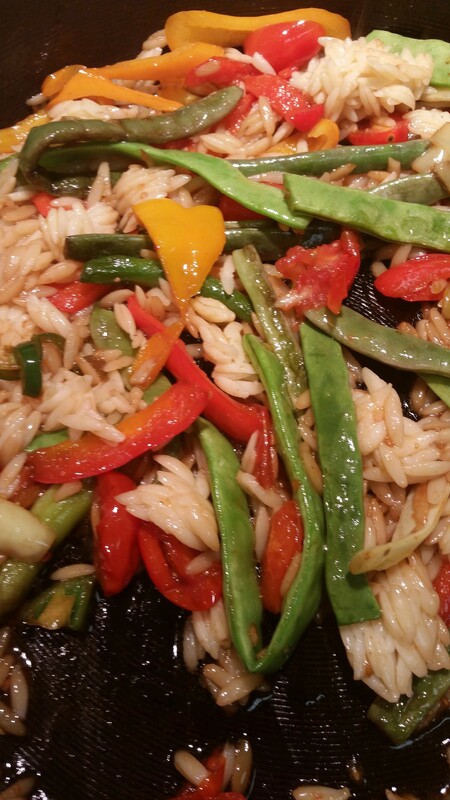 Tonight I decided to make a veggie stir fry and add in the rest of my leftover orzo. One pot vegetarian wonder! 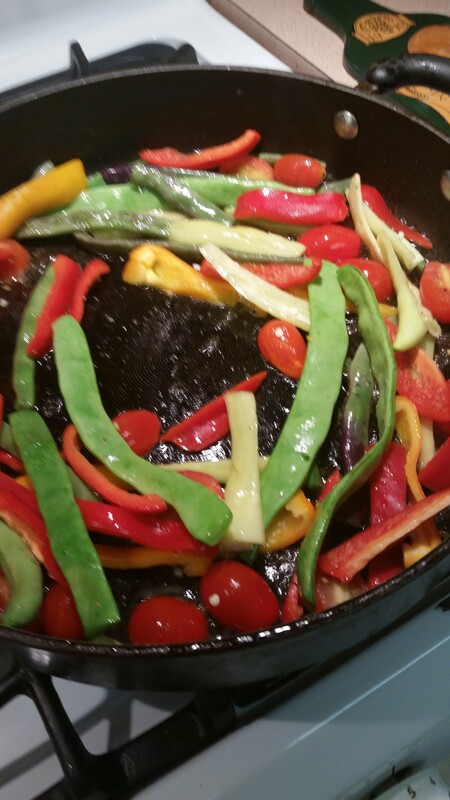 I added beans (purple and green (taste the same and the purple ones turn green when you cook them), peppers (sweet and spicy- 1/2 jalapeno with seeds ), and halved cherry tomatoes added to 3 tablespoons oil and 1 tablespoon of butter. I cooked them down for a few minutes with a touch of salt and pepper. Then I added a bit of hoisin sauce, teriyaki sauce, and stir fry sauce. Not a lot…I really just eye-balled it, adding about 1 tablespoon of each. Then at the end, I added in my orzo and stirred very well. Such a gorgeous dish! The jalapeno added a subtle heat that just kept building as I ate each bite. You can just taste that these veggies came straight from the garden. Fresh and tender; each amazing veggie’s flavor came through.